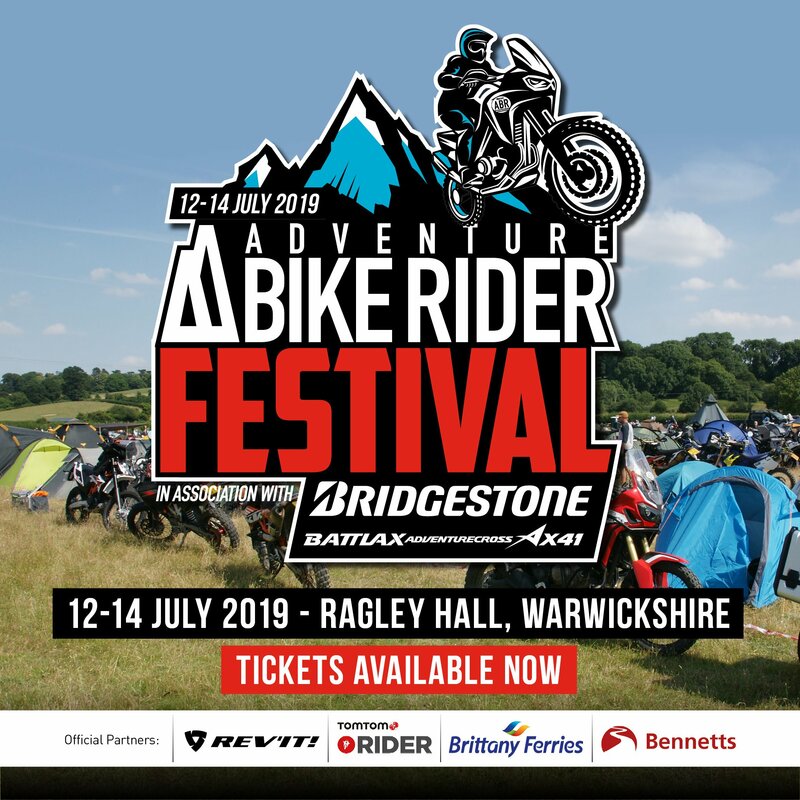 Author: Adventure Bike Rider & REV'IT! 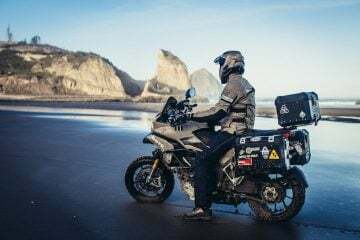 Correctly layering your motorcycle gear should leave you feeling warm, comfortable and a little smug that you’re one of those hardy year-round riders not afraid of a little bad weather. However, get it wrong and you could be shivering in the saddle with a slowly numbing body or, in the warmer months, ripping open your vents as you try to stop overheating inside various layers of insulated clothing. In truth, it takes a bit of practice and knowhow to get your layering right. With this in mind, we’ve teamed up with motorcycle clothing company, REV’IT! to guide you through some of the dos and don’ts of layering correctly. While you may not have put much thought into how you wear your clothes, there’s a whole principle behind effective layering. 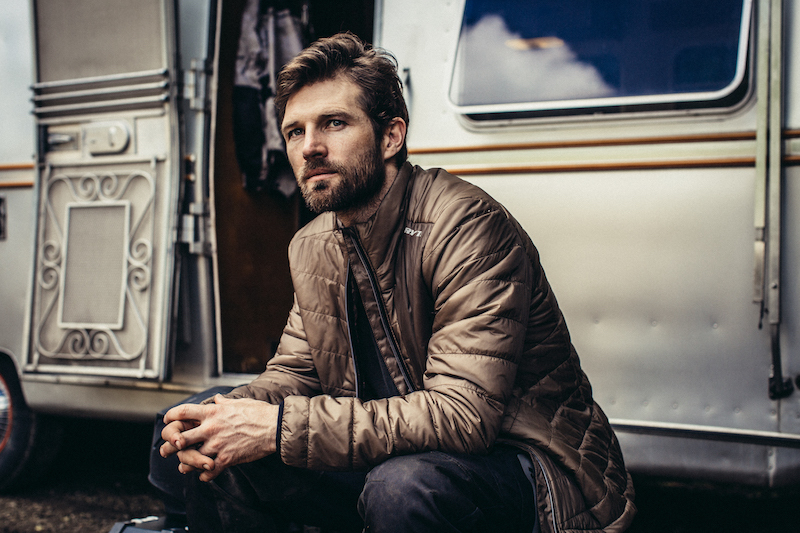 Over the years, outdoor explorers and adventurers have put in the time and effort to discover the best way to layer your garments in order to provide optimal comfort while maintaining a stable body temperature. This principle, in its simplest form, calls for using three layers of clothing, each technical in its design and nature, and each with a specific purpose. Those three layers are; the base layer, the mid layer, and the outer layer. We’ll explore these in more detail below, but first it’s good to understand the logic behind this. 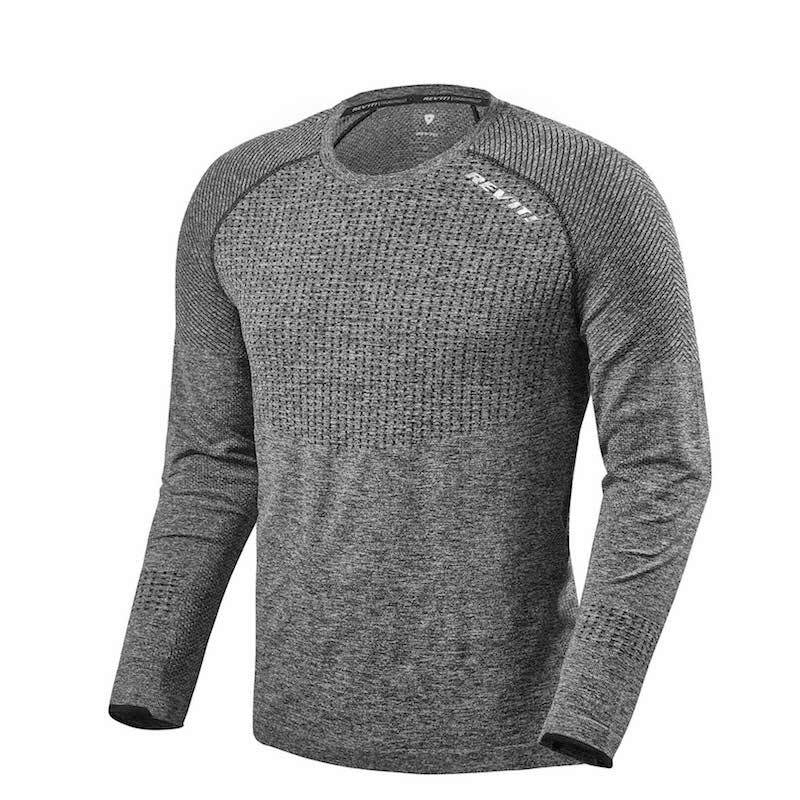 Your base layer will be used to keep you warm and dry by wicking sweat away from your skin and allowing it to be transferred to the mid layer. The mid layer takes your sweat and transfers it to the outer layer, and it also prevents loss of body heat by providing insulation. The outer layer provides protection from the elements and should help deal with moisture produced by sweat. Of course, if things start to heat up, you can ditch the mid layer which should help you cool down, so with a good set up, versatility in a variety of conditions and temperatures is possible. 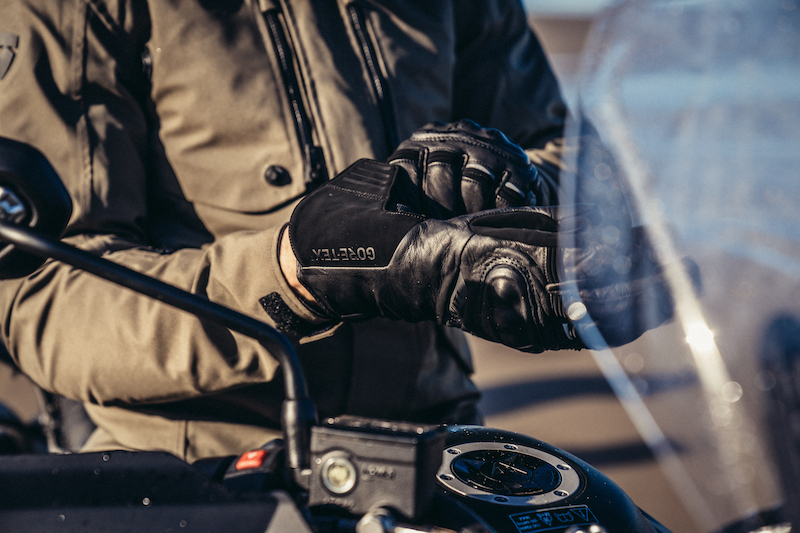 REV’IT!’s new FW18 collection featuring base and mid layers, jackets, trousers and gloves is certainly worth checking out if you’re looking to layer up on your biker correctly. In many ways, the base layer is the most important garment in your system. This is your last line of defence against the cold so make sure you wear something that covers the length of your body completely. As well as heat retention, the base layer is also crucial in wicking away moisture. Material-wise, polyester is well-suited for a range of conditions, as it tends to wick away moisture effectively. Merino wool is another material we like, as it is naturally anti-bacterial (meaning it doesn’t get smelly as quickly), and it retains its warmth while wet. Avoid cotton at all costs as it’s cold when wet and it retains moisture. While the base layer is incredibly important, the mid layer is no doubt one of the trickiest to get right. We tend to use an insulated jacket as a mid layer, be that down or synthetic. The former has the benefit of being lightweight, compressible and very warm, whereas the latter typically copes better with moisture. Fleece mid layers are cheaper and still do an adequate job, especially if the temperatures aren’t excessively low. The thinner the better, as in worse conditions you can double-up here for that fourth layer. Tackling conditions head on is your outer layer. Choosing a thinner, laminated jacket over a heavier one brings much more freedom. The warmth aspect is covered by the mid layer (if done right), so things like water resistance, protection and ventilation are more important here. Both wind and rain can ruin the whole formula we’ve just been talking about, so make sure that your jacket is waterproof for a start. Gore-Tex is recognised as the industry standard in this regard, but there are other just-as-good membranes on the market. You’ll also need to pay close attention to the length of the jacket. Make sure it covers your whole body, as wind or rain will take any opportunity to seep through any gaps. Also ensure it covers the length of your arms when stretching, and enough of your neck so that you don’t have a waterfall running down your back. 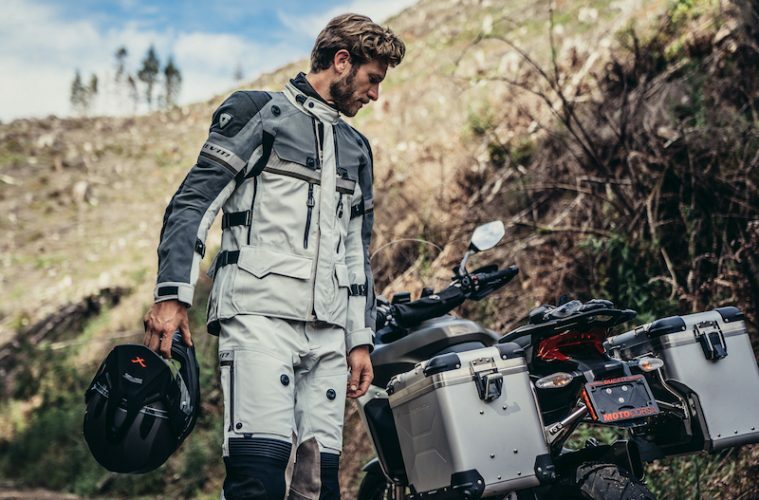 One type of jacket that is worth considering, and in some ways can be a quality investment, is a three-layer touring jacket. These have a waterproof lining and insulating mid layer packed into them, which can both normally be removed to offer greater versatility. As with laminated jackets, the amount of protection they offer is also worth considering. 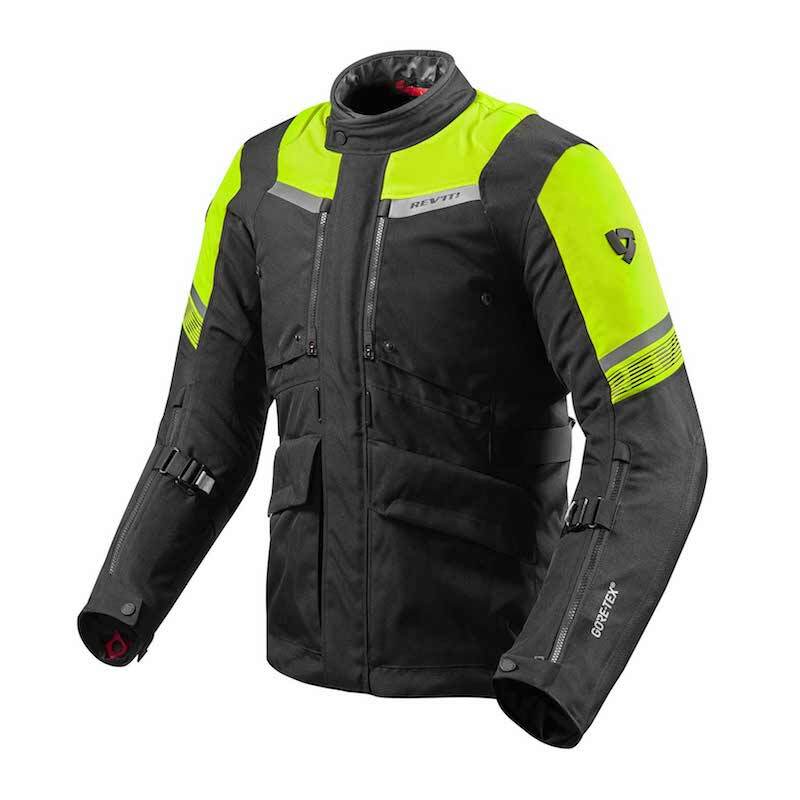 You want a jacket that offers fantastic abrasion resistance and comes with (or has provision for) shoulder, elbow and back armour at a minimum. We have occasionally found that the insulating layers aren’t as effective as dedicated third-party options, and for dealing with rain we prefer to have a waterproof lining bonded to the inside of the outer jacket, but when you find a good three-layer option, it is definitely worth a look. 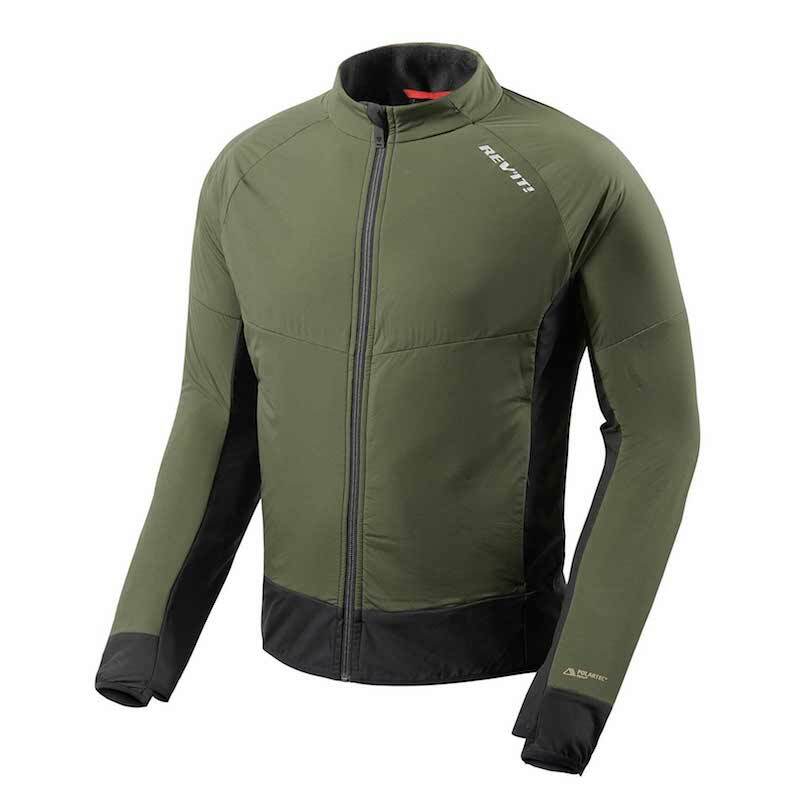 REV’IT!’s Neptune 2 GTX jacket is a great option here. 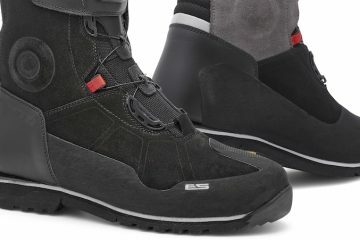 It features a Teflon coating on the outer shell as a defense against milder rain, and also has as a detachable waterproof Gore-Tex Paclite liner. Further layers that should be considered to make your ride more comfortable are accessories like neck warmers and gloves. Neck warmers need to be tight enough to keep warmth in, and a windproof lining is ideal in colder weather. Winter gloves should be lightweight, grippy, water resistant and well insulated. Not a lot to ask for right? REV’IT!’s Taurus GTX gloves fit that bill nicely, featuring a Gore-Tex lining. When things get particularly chilly, bar muffs or heated grips can be a Godsend. For an example of how to layer well, check out REV’IT!’s new FW18 collection and watch the collection’s promotional video below. 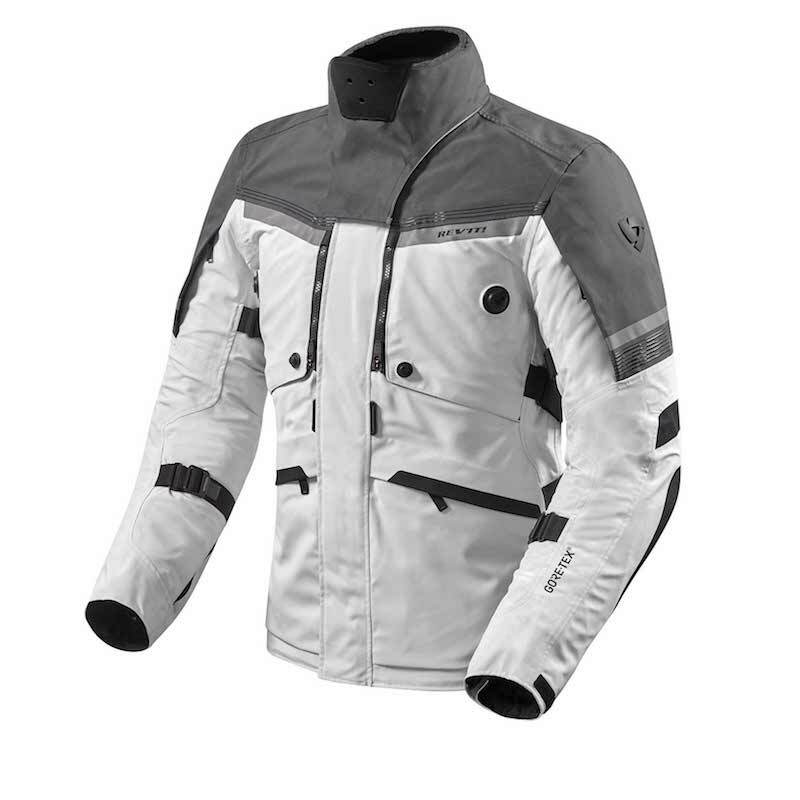 For REV’IT’s full range of motorcycle products, head over to its website.